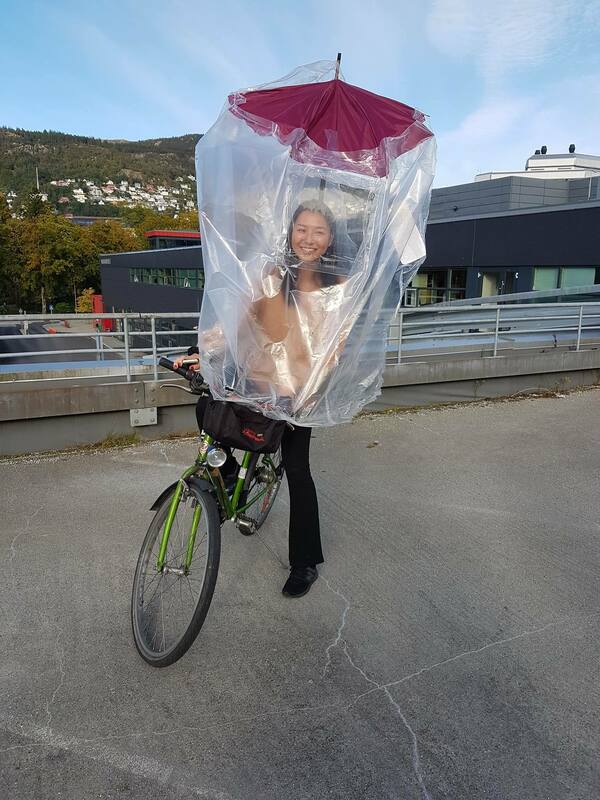 Umbrella for the bike, which covers your face and upper body. The Bike-brella is easy to store and use and makes it possible to bike in the rain without lots of extra clothes and equipment. Physical - It's annoying to bike when it rains in your face! 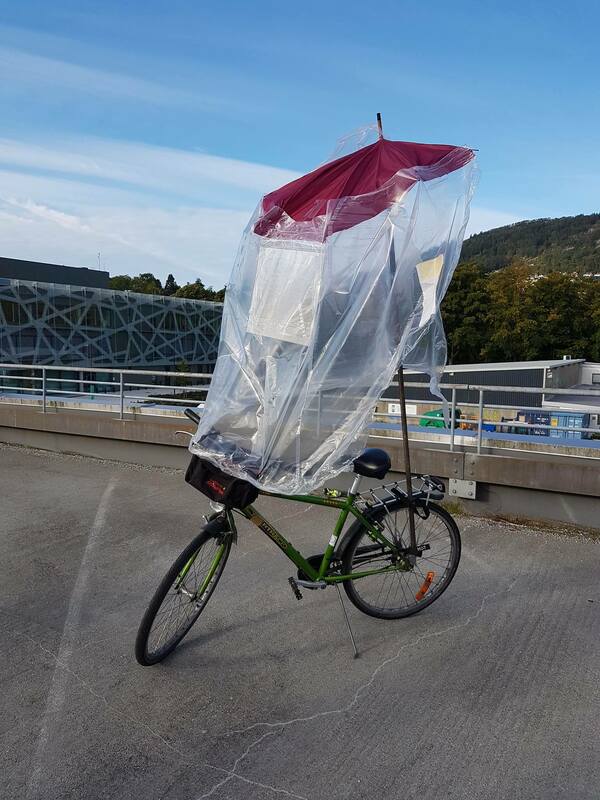 The bike-brella is attached to a pole at the back of the bike and at the front of the bike. It's made by a see-through, lightweight, and waterproof material. The pole is a telescope pole, meaning that it can be made smaller. 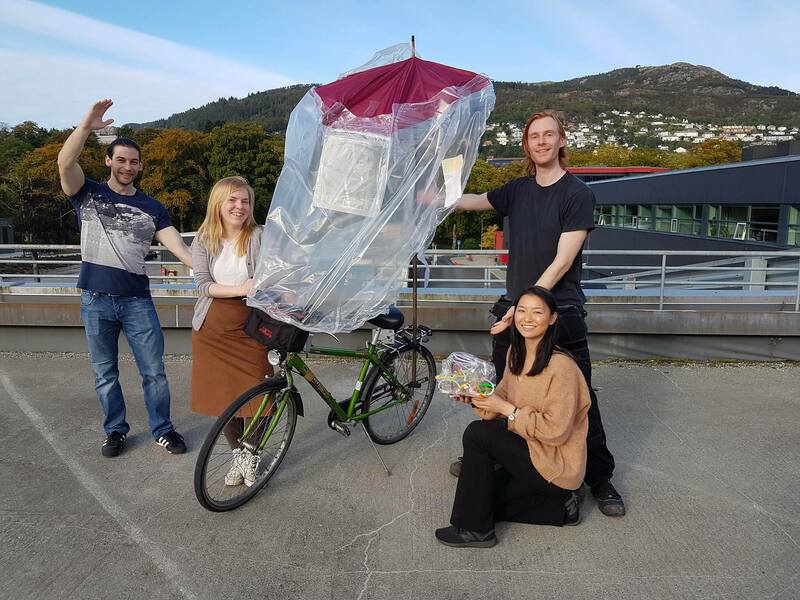 When the bike-brella is not being used it can easily be detached and stored in a little bag attached to the bike.